Providing civil engineering and land surveying services since 2003. 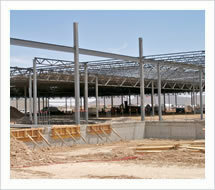 DHR ENGINEERING has land development experience that spans both bull and bear markets. Our extensive staff experience produces top-notch quality of work, with attentiveness to value-engineering and construction cost. Our portfolio includes an array of commercial and residential developers across the Southern and Western United States. 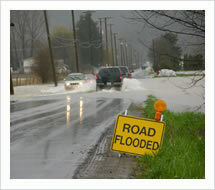 The company is a recognized leader in drainage and flood control. Principals at the firm have worked on large-scale projects such as the largest flood study ever undertaken in the history of the West African port city of Accra, Ghana. 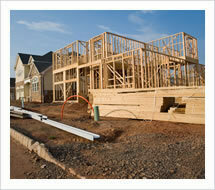 We provide permitting through local governments, FEMA, and the U.S. Army Corps of Engineers. We also are a well-respected drainage construction contractor, working on commercial and residential drainage projects, particularly near our corporate headquarters in the DFW Metroplex. Our testing lab in Fort Worth is well-equipped to perform all necessary laboratory work associated with the expansive clay soils found in Dallas / Fort Worth. 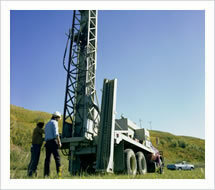 Our expertise includes moisture-conditioning of soils, lime stabilization, and other soil treatments. Our construction materials testing team has an excellent reputation of providing support all the way to project delivery. Our structural project managers have a minimum of twenty years experience designing building foundations, frames and roof systems, retaining walls, and other structures. We were the lead engineer on the Indian Grass Sculpture on Main Street in Norman, Oklahoma. 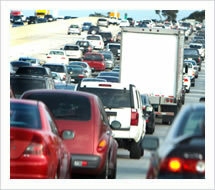 Municipal and state governments are under pressure to maximize all available transportation funding dollars. Our team of engineers and planners have decades of experience, including previous assignments working as municipal employees, so we know what cities expect! Our experience ranges from traditional road and bridge projects, to trail projects, to transit projects, such as light rail and streetcar. We also have expertise in complex funding mechanisms that are currently being used to develop public / private partnerships. The company is structured differently from traditional engineering firms in that our project managers are engaged in getting things built as a general contractor, in addition to being a design engineer. 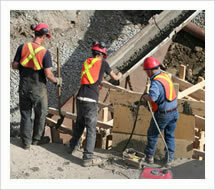 We specialize in smaller construction projects involving paving, drainage, earthwork, and retaining walls.